The O'odham Solidarity Across Borders Collective, whose members participated last Friday's occupation of Arizona Border Patrol Headquarters, have released a video of their action. The O'odham Solidarty Across Borders Collective is made up of "Akimel O'odham and Tohono O'odham youth who are pressing the attack against the ongoing colonization of our traditional lands (i.e. U.S./Mexico Border policies), environmental racism from transnational corporations and the state, and all colonial polices aimed at destroying our O'odham Him'dag (Traditional Way of Life)." The group organizing the occupation included "members of Indigenous Nations of Arizona, migrants, people of color and white allies." Their peaceful resistance at Davis-Monthan Air Force Base near Tucson resulted in arrests and citations for trespass. According to their press release, "Six people used chains and other devices to lock themselves in the building. These Arizona residents disrupted the Border Patrol operations to demand that Border Patrol (BP), Immigration Customs Enforcement (ICE), their parent entity, the Department of Homeland Security (DHS), and the Obama administration end militarization of the border, end the criminalization of immigrant communities, and end their campaign of terror which tear families apart through increasing numbers of raids and deportations." For an in-depth look at what SB 1070 will look like to people on the ground, check out Uri Lerner's analysis via HispanicLA at Behind The Vote: SB 1070's Risk To Citizens. To read more about this particular resistance and to assist with the fines and possible criminal charges they are facing, go to O'odham Solidarity Across Borders Collective or contact Leilani Clark at (520) 982-5687. Border militarization destroys Indigenous communities. The development of the border wall has lead to desecration of our ancestors graves, it has divided our communities and prevents us from accessing sacred places. Troops and paramilitary law enforcement, detention camps, check points, and citizenship verification are not a solution to migration. We have existed here long before these imposed borders, my elders inform us that we always honored freedom of movement. Why our communities and the daily deaths at the border ignored? The impacts of border militarization are constantly made invisible in the media, the popular culture of this country and even the mainstream immigrants rights movement which has often pushed for “reform” that means further militarization of the border, which means increased suffering for our communities. 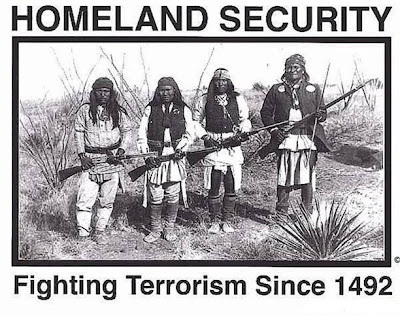 Indigenous communities such as the O’odham, the Pascua Yaqui, Laipan Apache, Kickapoo, and Cocopah along the US/Mexico border have been terrorized with laws and practices like SB1070 for decades. Indigenous people along the border have been forced by border patrol to carry and provide proof of tribal membership when moving across their traditional lands that have been bisected by this imposed border; a border that has been extremely damaging to the cultural and spiritual practices of these communities. Many people are not able to journey to sacred sites because the communities where people live are on the opposite side of the border from these sites. Since the creation of the current U.S./Mexico border, 45 O’odham villages on or near the border have been completely depopulated. On this day people who are indigenous to Arizona join with migrants who are indigenous to other parts of the Western Hemisphere in demanding a return to traditional indigenous value of freedom of movement for all people. Prior to the colonization by European nations (spaniards, english, french) and the establishment of the european settler state known as the United States and the artificial borders it and other european inspired nation states have imposed; indigenous people migrated, traveled and traded with each other without regard to artificial black lines drawn on maps. U.S. immigration policies dehumanize and criminalize people simply because which side of these artificial lines they were born on. 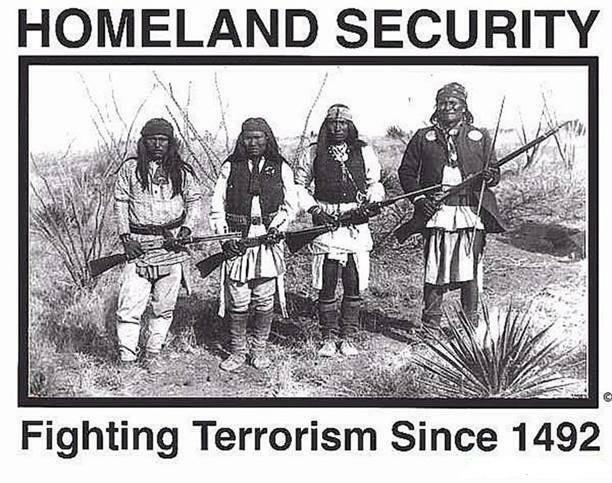 White settlers whose ancestors have only been here at most for a few hundred years have imposed these policies of terror and death on “immigrants” whose ancestors have lived in this hemisphere for tens of thousands of years, for time immemorial. In addition, the migration that the U.S. government is attempting to stop is driven more than anything else by the economic policies of the U.S. Free trade agreements such as NAFTA have severely reduced the ability of Mexicans and others from the global south to sustain themselves by permitting corporations to extract huge amounts of wealth and resources from these countries into the U.S. This has led to millions of people risking the terror and death that so many face to cross into the U.S. looking for ways to better support their families. Thousand of women, men, children and elders have died crossing just in the last decade. If the U.S. really wants to reduce migration it should end its policies of exploitation and wealth extraction targeted at the global south and instead pursue policies of economic, environmental and social justice for all human beings on the planet, thus reducing the drive to immigrate.